Packed with more real beef* and a mouthwatering aroma, Pup-Peroni Original beef flavor dog treats have a taste dogs simply can’t resist. Don't forget to take a package along so you can treat your four-legged friend wherever you pal around! dogs just know. 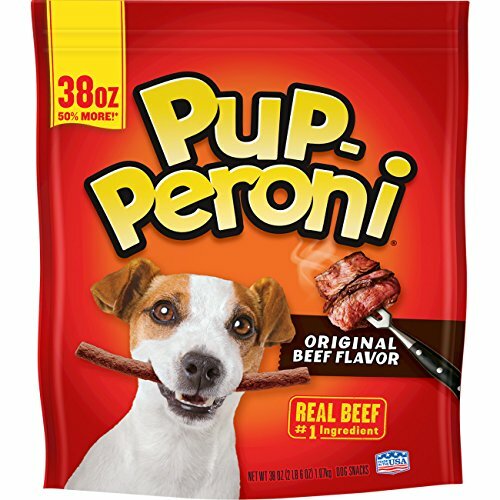 *Pup-peroni Original beef flavor vs. The leading soft & chewy dog Snacks competitor. If you have any questions about this product by Pup-Peroni, contact us by completing and submitting the form below. If you are looking for a specif part number, please include it with your message. Pedigree MARROBONE Real Beef Flavor Snacks for Dogs 6 lbs.